A video of Economic Freedom fighters members circulated on social media on Monday with people alleging that is was a demonstration against Chiwenga's stay at the hospital. 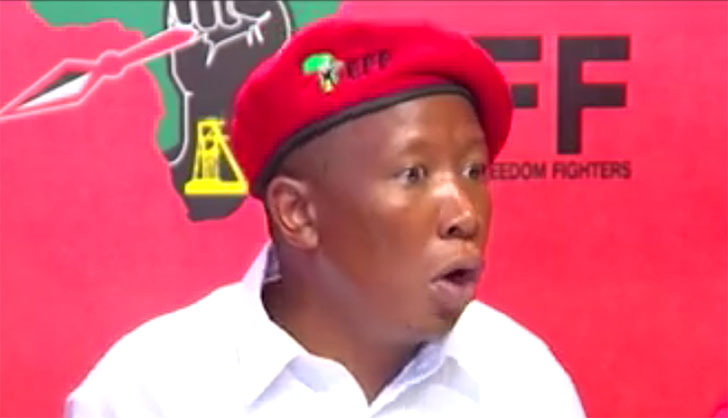 In a statement allegedly released on Monday the party said, "EFF notes with great concern some reports on Social Media to the effect that we have mounted an assault on a local hospital. "There is a also a video circulating on Social Media alleging that our gallant supporters are marching outside the aforementioned hospital. Let us clearly and unequivocally state that the video is being misrepresented by those wishing to drive a wedge between us and our Zimbabwean brothers. The said video is of our manifesto launch at the Giant stadium in Soshanguve." On Monday some Zimbabweans based in Cape Town who were organized by social group Tajamuka staged a protest at the UCT hospital. The carried placards demanding that Chiwenga must be discharged and be sent to Zimbabwe to get treatment. Chiwenga has been suffering an undisclosed illness since the November coup that under 37 years of Robert Mugabe's rule. During his sister's funeral in 2018, Chiwenga revealed that he was paying the price for removing former President Mugabe from power.